Bronze rotary ball valve female-female ½" – 4"
TYPE BRONZE ROTARY BALL VALVE ¾" BRONZE ROTARY BALL VALVE 1 ¼" BRONZE ROTARY BALL VALVE 4" BRONZE ROTARY BALL VALVE FEMALE-FEMALE BRONZE ROTARY BALL VALVE 2 ½" BRONZE ROTARY BALL VALVE 1" BRONZE ROTARY BALL VALVE 2" BRONZE ROTARY BALL VALVE ½" BRONZE ROTARY BALL VALVE 1 ½" BRONZE ROTARY BALL VALVE 3"
Bronze rotary ball valve female-female 1/2 " - 4". 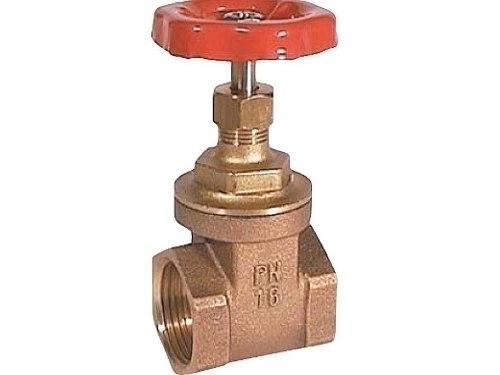 Design: Gate valve with 1 part wedge disc and rising steam. Operation: Rotation of the handwheel. Pressure range: Nominal pressure PN 16.